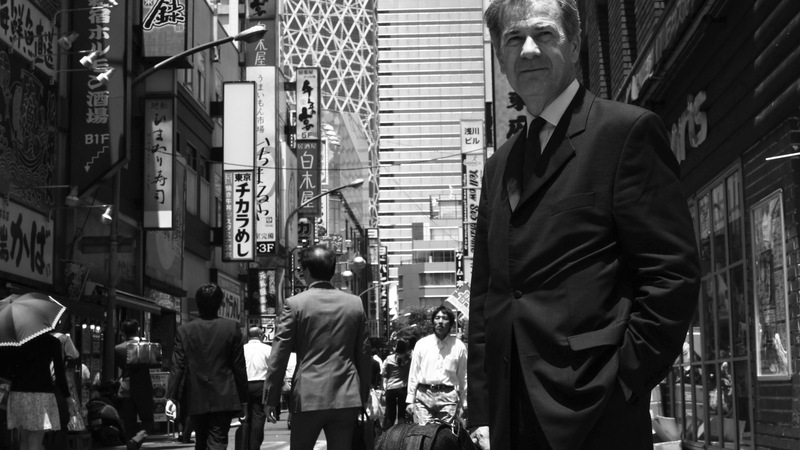 Violinist Goran Končar start his Japan tour where from 10th to 18th May hold five concerts in major concert halls. At the concert tour he will present a variety of programs with different pianists. 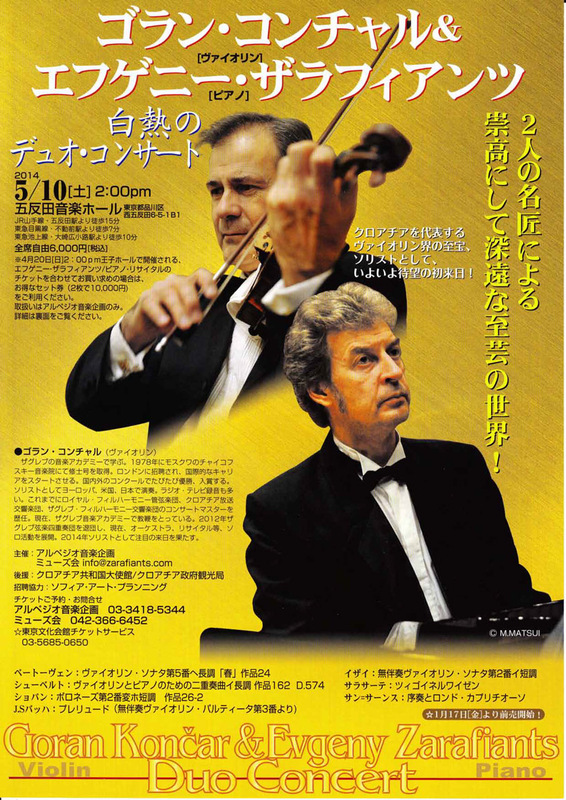 The first concert occur on May 10th in Tokyo at Gotanda Music Hall with Russian pianist Evgeny Zarafiants, while in the same hall in the evening concert will perform with Japanese pianist Yoko Nishii. 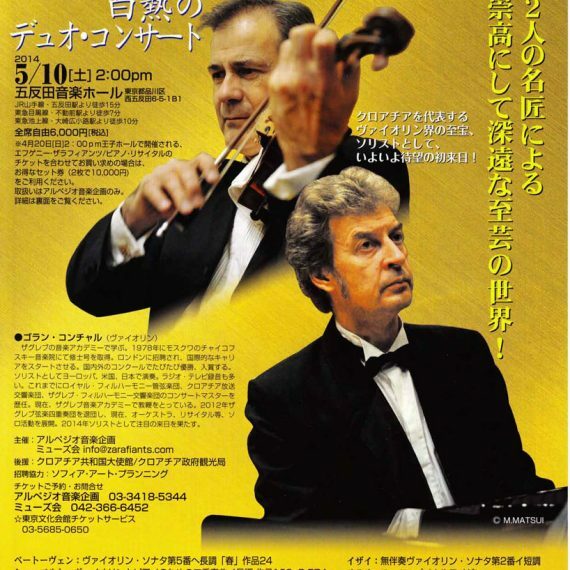 One day later, on May 11th, he will perform in Tochigi at Oyama Shiritsu Bunka Centre with Japanese pianist Junko Iwashita, and on May 17th in Matsumoto at The Harmony Hall, again with Evgeny Zarafiants. 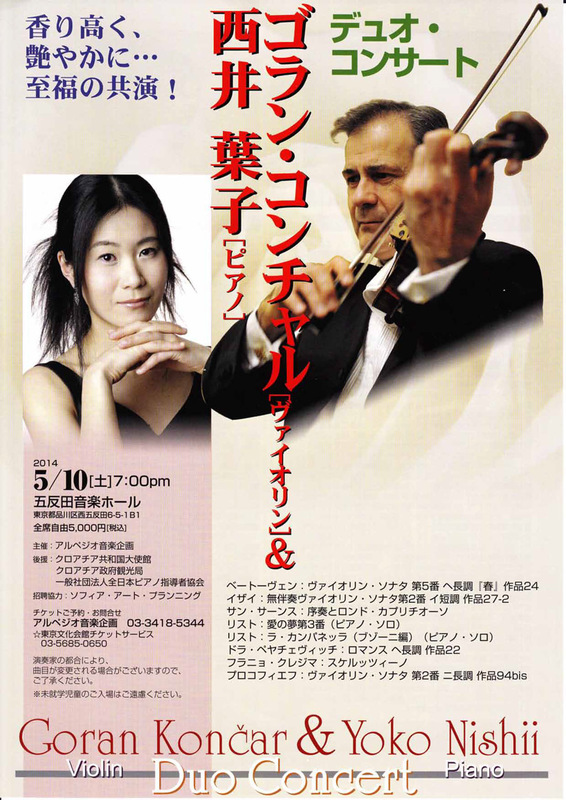 At Matsumoto University Center he will hold a masterclass for violin students and lecture with the performance of works by Croatian composers Franjo Krežma, Dora Pejačević and Ivo Josipović. 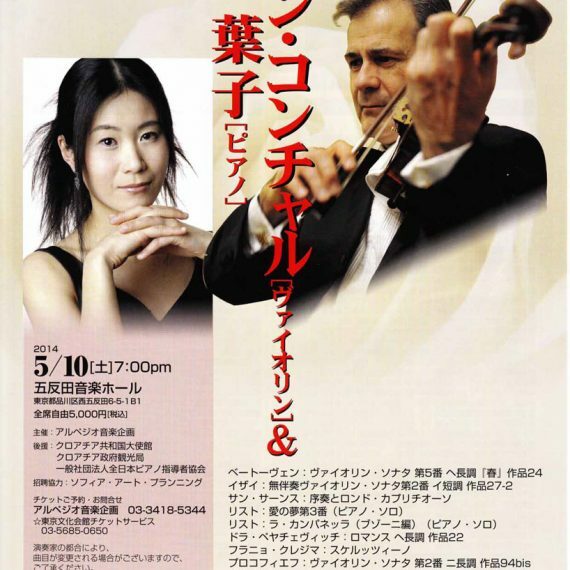 The tour will end on May 18th with a concert in Kyoto at Aoyama Ongaku Kinenkan with pianist Junko Kasahara. 10th May (Sat) TOKYO / Gotanda Music Hall, 2,00 p.m.
10th May (Sat) TOKYO / Gotanda Music Hall with 7,00 p.m.
11th May (Sun) TOCHIGI / Oyama Shiritsu Bunka Centre 3,00 p.m.
17th May (Sat) MATSUMOTO / The Harmony Hall 2,00 p.m.
18th May (Sun) KYOTO / Aoyama Ongaku Kinenkan, 3,00 p.m.